Comments: It was a Life time trip for me because of all the experience. Keep it up ! 02. Guek Tin Low Ms, Koo Hong Lee Mr, Ban Hup Lee Mr & Han Lee Lee Ms. 04 Pax. Comments: "Adventure Treks Nepal organized our Trek & Chitwen National Trip, They provided a much greater level of service. The client to sherpa ration was higher, the equipment top notch and the food better. We will trek again with him in the future and recommend him highly"
03. Rick Bell 01 Pax. 3852 West Second Ave. Vancover, BC V6R 1K2. Comments: "The Advantages of Small Group Trekking with Adventure Treks Nepal"
When I contacted your firm, I was looking for a flexible itinerary because I was not sure how my body would respond to the high altitude in Thorung La Pass. I was particularly concerned (given that I have never ventured far from sea level) about the need to "push on" in a group setting, in spite of AMS. As it turned out, my decision to do the Annapurna Circuit alone (with the help of your guide and porter) was fortuitous. As we approached the Pass, we encountered many disappointed trekkers making their way down the mountain…turned back by 10 feet of snow. My guide, porter and I decided not to risk being held up with continued bad weather …with no time left for Muktinath, Kagbeni and all of the other attractions on the west side of the Pass. We decided to turn back, get a quick taxi to Birethani and try to complete the Annapurna Base Camp trek and the Jomsom trek in the remaining time. Thanks to the hard work and good planning of your guide and porter, we completed both and had great time doing it. It was very strenuous for me …I can't imagine how difficult it was for the porter carrying 60 lbs of my gear! I am sure that people who have never trekked before will be tempted to go with a big group. My recommendation is to use the services of your firm for a customized approach that bigger companies simply cannot match. Best of luck as you develop your camping itineraries. I am looking forward to seeing them on your website. 04. Ricardo Lins Mr & Anna Paula Lins Ms. 02 Pax. Comments:This trip most gratitude for lifelong memories and the highlights of a life". Keep it Adventure Treks Nepal. 05. Walter Tezzele Mr & Rosanna Trentini Ms. 02 Pax. 06. Huxford Ulleri Ms & Friend 02 Pax. Comments: This Jomsom Muktinath trek was fantastic ! you must be congratulated on running a first class enterprise. Great staff they worked so hard to make our trip successfull and I was very impressed with my guide & Porter"
Il Nepal, per chi come noi ama le montagne, e un Paese meraviglioso e merita ben piu di un viaggio; la Adventure Treks Nepal (P). Ltd. ci fa desiderare ogni volta di ritornare a scoprire altri itinerari. E infatti nell'ottobre del 2005 abbiamo gia organizzato quello che e forse uno dei piu bei trek del Nepal, il grande circuito dell'Annapurna. Grazie ancora a tutti e arrivederci al prossimo anno! 08. Marfori Alejandro Mr. 01 Pax. Comments: "I spent one week trekking with Adventure Treks Nepal. I can't imagine a better way to see Nepal. 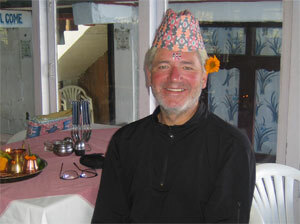 Guide Always constant concern for my safety and comfort allowed me the freedom to get to know Nepal and Nepalese Culture. So Adventure Treks Nepal is the best!" 09. Peder Skaj Mr. 01 Pax. 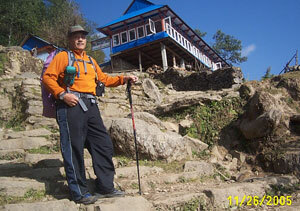 (Everest Base Camp + Culture Tour with Chitwan National Park, November 2005 From Sweden). 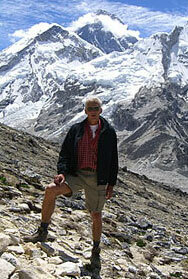 Comments: "In the fall of 2005 I went on a 23 day trek in the Khumbu with Guide from Adventure Treks Nepal. I had nothing to worry about with Guide. He and his wonderful team tended to our many needs and wants with flexibility and competency. All went exceedingly well. We highly recommend Adventure Treks Nepal." 10. Juha kalevi Nurminen Mr. 01 Pax. 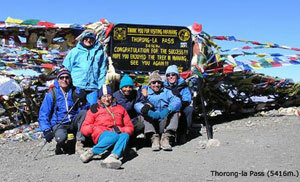 Comments: I would lke to thank Adventure Treks Nepal who organized my trip and always being their for me for my trip. your services and friendliness was outstanding. and i would especially like to thank my guide Bhuwan for all he has done for me on my trek. thank you all for a trip i will fondly remember for the rest of my life. 11. Romany Page Ms. 01 Pax. You have set the standards very high in terms of customer satisfaction and we were very impressed with your professionalism. 12. Bjorkenor Lena Margarita Ms, Karlgren Bengt Hugo Mr & Oskamp Cornelis Jan Mr. 03 Pax. Comments: Dear Mr. Karki, 03 of us We just wanted to thank you and your company for providing us with an experience of a lifetime. Our guide Tashi in Tibet were brilient and after tibet the days which we had passed in Nepal all are memorable. Keep it up ! 13. Claes Kvist Mr, Eva Onell Mrs & Clara Onell Ms. 03 Pax. 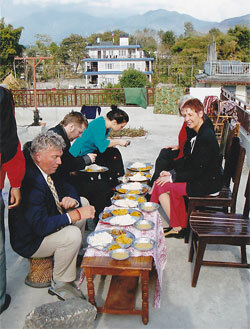 (Ghandruk Trek + Culture Tour November 2005 from Sweden). We really enjoyed the trip. All was really spectacular. The view was amazing and the foods really loop. All the people were friendly and welcomed us so we really had an unforgettable time. 14. Marro Claudio & Raso Alessandro Mr. 02 Pax. This was by far the best trip I have ever taken in my life. Every single detail was perfect and very well organized. This was our first trip to Nepal and it is definitely not our last as I look forward to bring more friend next time we come over. We wish we had a little more time, but the last 7 days with you guys have been amazing. Thanks to both of you for taking care of us as a member of your own family and I really appreciate it. 15. Kjell Borneland Mr, Bettina Tina Hoijer Ms, Tom Sojeberg Mr, Charlotta Andersson Ms., Sten Rystedt Mr & Ingela Rystedt Ms. 06 Pax. Comment: Always wonderful to travel with you. 16. Suibo YU Mr. 01 Pax. Comments: It was very good trip and little bit difficult. 17. Stefan Morin Mr. 01 Pax. Comments: "You can think my feeling when I was at the Kalapatter in 64 Years" Thank you adventure !